adidas has made a statement in the soccer world with their extensive line of indoor soccer shoes and cleats. For the player who is passionate about the game of soccer, practice doesn’t stop on the field. That’s why you need an indoor cleat that provides as much performance and feel as your grass gamers. At soccerloco, we’re committed to bringing you a wide variety of adidas indoor soccer shoes at cost competitive prices. You’ll be the hero of the team as you own the competition with these stylish kicks. Take advantage of our low flat rate shipping by ordering online from soccerloco. With our quick and easy return policy, there is no better place to shop for your next pair of adidas indoor soccer shoes. 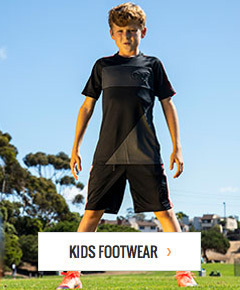 Shop soccerloco today and save!